And so this blog enters year five of its existence - hard to believe! CGM has evolved from peripheral curiosity for companies and brands to major focus. True, the term "CGM" plays a big second fiddle to the all-encompassing term "social media," which includes media and brand initiated content (and beyond). That said, I still think the "consumer" side of the equation sets the pace in this new "age of participation." It's also what excites and energizes me! Many of us are going to wake up in 2009 wondering "what did we eat?" and "why did we devour it all so fast?" We impulsively adopted everything from hastily assembled Facebook friends and Twitter followers to groups, apps and widgets (usually while shadowing others, such as uber-early adopter Robert Scoble), yet rarely revisited them. Many of us will feel compelled to join the social media equivalent of Weight Watchers, eager to trim the excess and rediscover a modicum of don't-follow-everything discipline. Meanwhile, a new wave of "diet" apps and services from the still-revenue-hungry social media entrepreneurs will flood the market: "For $10 a month, we'll promise you a downsized, manageable, and authentic Friends list." In 2009, less may well become the new more. On this point, I do worry we've all jumped into much of the "new" social media stuff too aggressively, often leading to an almost-compulsive need to post, twit, friend, link, and share every mundane detail of my life. In many respects, it's hard to resist. As an early leader and adopter -- even a published author on the topic of CGM & social media -- I almost feel an obligation and duty to "keep up with the crowd" and "walk my talk." Despite all the Twitter banter about convenience, efficiency, empowerment, lower feedback barriers, at times it all feels a bit frenzied -- a perception perhaps biased by the fact that I now have three kids under four years. Popularity versus Intimacy: A huge friends list begets marketing opportunities (not unlike a good mailing list), and can obviously contribute to building a "personal brand," but is it really a "friends" list? It's hard to do both. Often, when I send a "Dude...let's catch up soon" blurb on Facebook I wonder whether I've cheapened or trivialized the relationship. (It feels that way on the receiving end.) Then again, I did send a wee small sign of life, right? Short Form Versus Long Form: My blog posts on ConsumerGeneratedMedia.com actually plummeted in 2008...mainly because I found myself perfecting short form messaging on Twitter, Facebook "what are you doing" forms, and Blackberry email. I'm inclined to return to the longer format lest my Twitter-induced glorification of the "mundane" (e.g. "Hey, watched a movie tonight!") gets the better of me. My blog played a huge role in laying foundation for my Tell 3000 book, and that's because it afforded me the opportunity to test hypotheses, write "pilot" chapters, take a big step back here and there, and the like. I don't want to lose that discipline. Of course, like others, I can aim for that perfect symbiotic relationship between long and short form, but that also carries risks. Big Tent or Narrow Tent: Social media now encompasses just about everything -- it's as much of an "organizing principle" as marketing strategy -- and that makes it more difficult to focus content choices. I also hate the thought of simply reinterating what hundreds of others are already saying, a reality that hits me everytime I inventory the fire-hydrant of self-described "social media consultants" on my Twitter follower list. Even on this blog, I've noticed no shortage of "topic creep." (Just look at all my categories.) I'll need to think a bit harder about where I'd like to focus my best thinking. Since taking on my new role as Chair of the Better Busines Bureau, my obsession with the issue of marketplace Trust has jumped to the next level, and I'll likely focus attention in that area. Despite all this, I enter 2009 with a great sense of optimism about what's possible. In a recent post for Nielsen's Newswire entitled "Social Media Comes of Age," I outlined a number of key developments from which I drew inspiration and motivation in 2008, from all aspects of the Obama campaign's web and voter-participation strategy and MyStarbuckIdea.com to Intel Chairman Scott Cook's Harvard Business Review cover story on "User Contribution Systems." I welcome any and all feedback. If you haven't yet met Susan Bratton, you haven't truly lived in the online advertising and Web 2.0 world. Susan lives right smack in the center of Silicon Valley and has worn a host of high-impact digital "hats," so to speak, in our still-nascent industry: head of advertising for the former @Home broadband play, long-tme chairwoman of Ad-Tech (arguably the largest online trade show in the world), and so much more. Way back when we were just getting P&G's first interactive marketing team off the ground, Susan was an invaluable resource and digital "tour guide," so to speak. 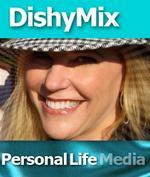 Recently, Susan started -- nay, threw her unmistakable energy and passion into -- Personal Life Media, which is essentially a blog and podcasting network covering a host both expected (e.g. online advertising industry developments) and unexpected (religion and spirituality, society and culture, sexuality) topics. Oh, and she's building a great audience. Her husband Tim, no Spring-chicken as web culture goes (he invented Rhapsody), is her partner in this ambitious endeavor. Anyway, this is a long preface to the fact that I had the honor of being interviewed by Susan recently for one of her DishyMix podcast shows, and I must say it was the most fun I've had all year. She's engaging, disarming, and knows her subjects well enough to potentially get them into hot water. (But I say that in a good way!) 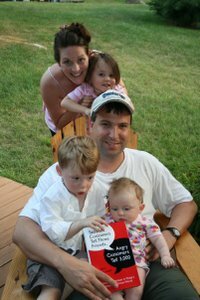 Credit to Susan, she really got me worked up about the things I love -- in my business, in my personal pursuits related to Web 2.0 (such as building blogs and sites dedicated to my kids), and so much more. 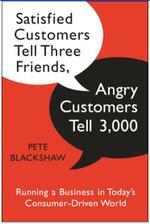 Oh, and we talk lots about my recent book, Satisfied Customers Tell Three Friends, Angry Customers Tell 3000 (Doubleday Business), especially around "talk drivers" and what I call "the love spot" (sorry you just have to listen first to know what I'm talking about on that one. ) Click here to Listen Now! Of course, if my pontification bores you (always a possibility), I can assure you that you won't be disappointed with her other interviews, including recent ones of breakthrough advertising thinker Paul Woolmington (founder of Naken Communication), agency pioneer Alex Bogusky, search expert John Batelle, groundsweller Charlene Li, and "Personality Not Included" author Rohit Bhargava. A couple new interviews and podcasts have been published related to the book. If you are looking for a quick digest, here they are. My first official review just came in about my upcoming book, Satisfied Customers Tell Three Friends, Angry Customers Tell 3000. Publisher's Weekly notes the book is "thoughtful and engaging." "Informative, energetic and entertaining, this is a marvelous argument for corporate responsibility and accountability, interesting to laypeople and instructive for executives." Whew! Much as I'm a tireless advocate for feedback, I'm also the first to concede a certain anxiousness about subjecting myself to the same standard. When my publisher sent to first round of galleys to so-called "key influencers" (other authors, corporate bigwigs, thought-leaders), I found myself breaking a sweat when the deadline for testimonials passed and only a trickle of quotes had come in. Alas, I thought, they think this book is destined for the trash heap. Or maybe they strongly disagree with my argument, or think it's yesterday's news. Or maybe they gave a big "Pete who?" and moved on to the next piece of mail? The feeling was worse with folks I knew; nay, the silence was deadly. But in the end, plenty of quotables came in, and in most cases a quick reminder did the trick. Folks are busy, and reading a book -- even zipping through the first several chapters -- takes time. You can't take it personally. And even if they don't think it measures up, you can't take that personally either. True to the title, I've no doubt lots of complaints will also work their way through the system. But I guess that's also the point, right! Starbucks & The Feedback Loop: On a related front, I recently talked to Elizabeth Gillespie of AP about Starbuck's customer feedback campaign, MyStarbucksIdea.com. Here's a link to the story. Although the campaign's received some understandable skepticism in the blogosphere, I frankly think it's a very strong example of reaching out to loyal, even critical customers for feedback. And there's real participation in this exercise, far more than most expected. As I've said repeatedly when I started PlanetFeedback.com, "All feedback is gold, every complaint a gift" -- and I believe this principle holds more than ever. In the case of Starbucks, some terrific ideas are now piping through the system, and site users are rating the best ones. Like Dell, I also think it's powerful that Starbucks is making the investment to nurture meaningful dialogue and conversation in its own "backyard." Then again, the ultimate "credibility test," of course, will be whether Starbucks management acts on the feedback. I'd be shocked if they didn't -- there are some really good ones up there. Let's stay tuned.